The delicious thing to my mind is that it should be Roth who finds himself in this situation. To her credit Thurman notices the way the story echoes the plot of Roth’s 1993 novel, Operation Shylock, in which a character called “Philip Roth” pursues a doppleganger who has been using his identity to spread anti-Zionist propaganda. But in a way invoking Operation Shylock is to miss the point. Because Operation Shylock’s game-playing isn’t an isolated phenomenon: in fact Roth has spent a sizeable portion of his career trading on the blurry line between fictional representations and the real. 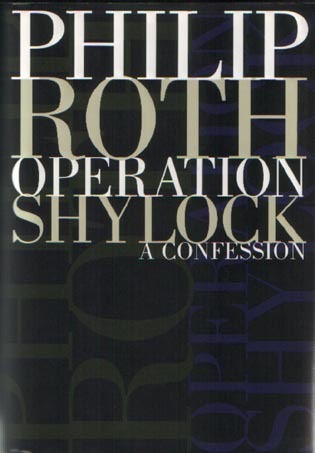 After all, Operation Shylock itself is only one of three novels featuring central characters called “Philip Roth”, who share many of their author’s characteristics (presumably the “Philip Roth” of Operation Shylock is the same Philip Roth as the one in Deception, but the one in The Plot Against America, which tales place in an alternative history, is a different one again), but it’s a trick which is also on view in the character of Nathan Zuckerman, whose early career so closely parallels Roth’s, and indeed in books such as The Ghost Writer, in which Zuckerman convinces himself a young woman is really Anne Frank, inventing a fictitious past for her in which she escaped death and immigrated to America, and even in any of the many, many other novels by Roth which explore questions of identity in one form or another (the black man “passing” as a Jew in The Human Stain, for instance, or even the infernal puppets in Sabbath’s Theatre). Even the most casual reading of Roth’s fiction can’t help but emphasise his fascination with these sorts of games of identification and misidentification, and with the fiction of unlikely antecedents such as Gogol and Kafka. All of which makes it tempting to wonder whether this story is itself a Rothian fiction, and Thurman a player in some strange, meta-narrative of Roth’s devising. The only problem is that I’m reasonably confident those killjoys in the fact-checking department at The New Yorker will have made sure it isn’t. ← Is it possible to write good fiction about climate change?